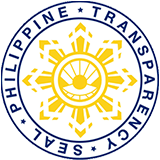 To ensure the smooth provision of awards and incentives for Filipinos who reached the age of 100 and above as stipulated under Republic Act 10868 or the “Centenarians Act of 2016”, the Department of Social Welfare and Development (DSWD) has released the guidelines that will serve as reference for implementors. The guidelines are embodied in DSWD Memorandum Circular (MC) No. 04 series of 2017 which outlined the roles of the Department and other partner-agencies and organizations. The MC also identified the documentary requirements that are needed to avail of the incentives. These incentives include the grant of P100,000 as a one-time Centenarian Gift, Letter of Felicitation signed by the President, and a Posthumous Plaque of Recognition for a centenarian who died upon the effectivity of the Act. Filipino centenarians living overseas may also avail of the incentives upon verification with the Commission on Filipino Overseas (CFO). The local government units (LGUs), through the City/Municipal Social Welfare and Development Office (C/MSWDO) will take the lead in the identification and validation of the beneficiaries, while the DSWD Field Offices will facilitate the provision of Centenarians Gift and the Felicitation Letter. The DSWD will also undertake continuous monitoring of the identification of beneficiaries and disbursement of funds. The LGUs must also maintain a database of updated senior citizen residents per age bracket. They are likewise expected to coordinate with privately run- residential care facilities for the updating of senior citizen database under their custody. Moreover, the LGUs must submit validated masterlist of centenarians to DSWD Field Offices with the supporting documents. The M/CSWDOs are also tasked to provide an orientation of the Centenarian Act to heads of the Office of Senior Citizens Affairs (OSCA). They are required to submit a report to the DSWD on the implementation of the Act every quarter. Meanwhile, the OSCAs also take an active role in the implementation of the Act by updating and validating the list of seniors in their jurisdictions. In order for a centenarian to avail of the incentives, he or she must present his or her birth certificate or Philippine passport for verification of the C/MSWDO and OSCA. If said documents are not available, the centenarian may present his or her senior citizen’s identification (ID) card or any other Philippine government -issued ID which shows his or her citizenship and date of birth. Other alternative documents, just in case the abovementioned primary IDs are still not available, are marriage certificate, old school documents, baptismal or confirmation records, birth certificate of children, or an affidavit executed by at least two (2) disinterested persons at least 80 years old with personal knowledge of the centenarian’s actual age or date of birth. Once verified, the incentives will be released to the centenarian on the first Sunday of October or during the actual 100th birthday of the beneficiary. DSWD Secretary Judy M. Taguiwalo said that the cash incentive is one way of giving due recognition to the contributions of the elderly to their families and to the nation.